Chicken Parmesan is a family favorite. So much so, that my mom even requested it for her Mother's Day dinner without hesitation. I have always made it the traditional way by dreading er dredging the chicken in flour and then egg and then bread crumbs. It is time consuming and makes a mess of crumbs all over the counter tops! One of my pet peeves is crumbs on the counter tops. I just don't like it! I know they are easy enough to clean-up, but it just bugs me for some reason. 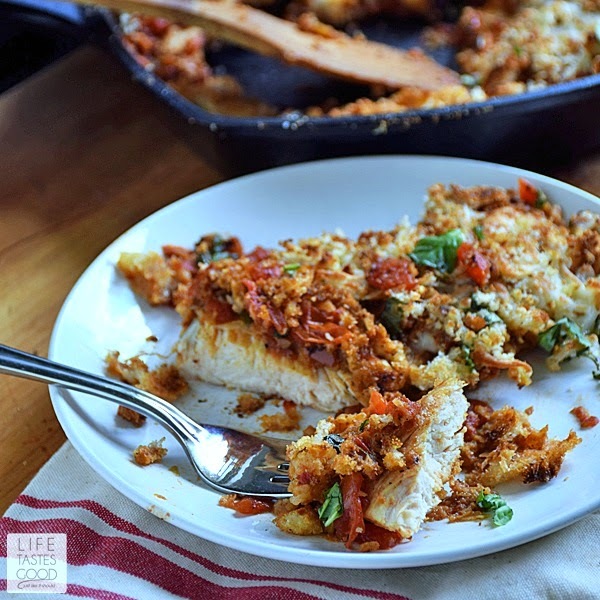 So to help avoid the mess and because I've been all about cooking in just one skillet lately, I made this rustic Chicken Parmesan the easy way, and you know what? The taste is amazing! 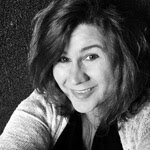 I may never go back to the traditional way of doing things ever again! The key is using fresh ingredients. For the breadcrumbs I used about 1/4 of a french baguette from the bakery. I crumbed it up in the food processor and then toasted it in the skillet with some olive oil, Parmesan cheese, and fresh basil. That took less than 5 minutes! I set the breadcrumbs aside until I was ready to use them, and I cooked the chicken in the same skillet. I purchased chicken cutlets, so they were already sliced thinly for me, which is a huge time saver from having to slice and pound the chicken. The chicken took 6 minutes to cook through. That will vary depending on how thick your chicken is cut. Once the chicken was seared and cooked through, I set it aside and cooked the sauce in the skillet. The sauce consists of fresh Roma tomatoes, garlic, onions, basil and parsley. That's it. All fresh ingredients that come together to create a lick-your-plate clean kinda sauce in about 10 minutes!! When the sauce got saucy, I added the chicken and turned it to coat with the sauce. I topped that with the reserved breadcrumbs, and sprinkled on some Mozzarella cheese. I put the skillet under the broiler for about a minute to melt the cheese and, voila, dinner was ready to go! The house smelled like an Italian eatery, and we all enjoyed the fresh tasting feast! Tear 1/4 of a baguette into pieces and fit into the bowl of a food processor. Pulse until crumbs. Heat a tablespoon of olive oil in a large cast-iron skillet over mid-high heat and add the breadcrumbs. Cook, stirring, until crisp and golden. 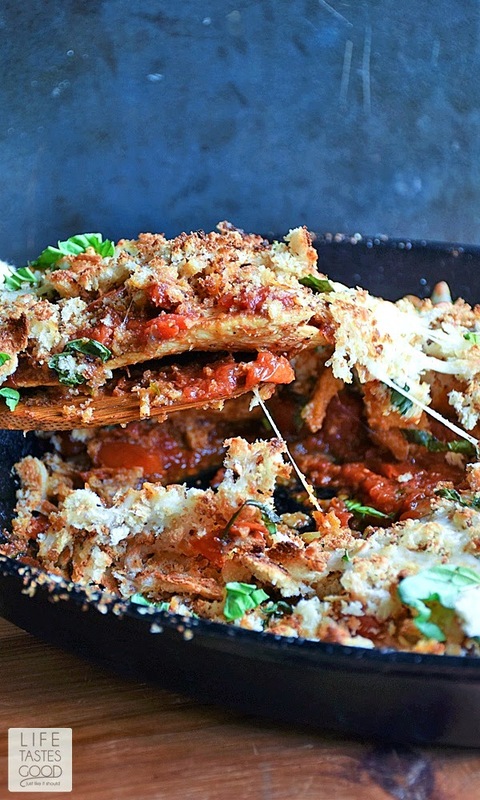 Add 2 tablespoons Parmesan cheese and continue to cook until the cheese is melted and everything is nice and crispy. Transfer to a bowl and reserve until ready to use. Note: You may also use a stainless steel skillet as long as it is broiler safe. Add a tablespoon of oil to the skillet and season the chicken with salt and pepper on both sides. Place the chicken in the skillet and cook for 3 minutes on each side or until no longer pink inside and juices run clear. The cook time will vary depending on how thick or thin you chicken is cut. Remove the chicken from the skillet and reserve until ready to use. Reduce the heat on the skillet to medium. Add 1/4 cup sweet red wine to the skillet. It will steam, so be careful. This will deglaze the pan. Using a spatula, scrape up any browned bits. It's normal for most of the wine to evaporate. Add 1 tablespoon garlic and 1 tablespoon onion to the skillet and cook for about 30 seconds until the garlic and onions begin to soften and smell aromatic. Next add the diced tomatoes, 1 tablespoon basil, and 1 tablespoon parsley. Allow that to cook for about 5-10 minutes until the tomatoes are soft enough to smush. Smush the tomatoes with the back of a spoon until you have a delicious sauce. Give it a taste and add salt and pepper as needed. It's a little chunky, but that's okay. If you prefer it to be smooth, you can run it through a blender. I like it chunky . Return the chicken to the skillet and turn to coat with the sauce. 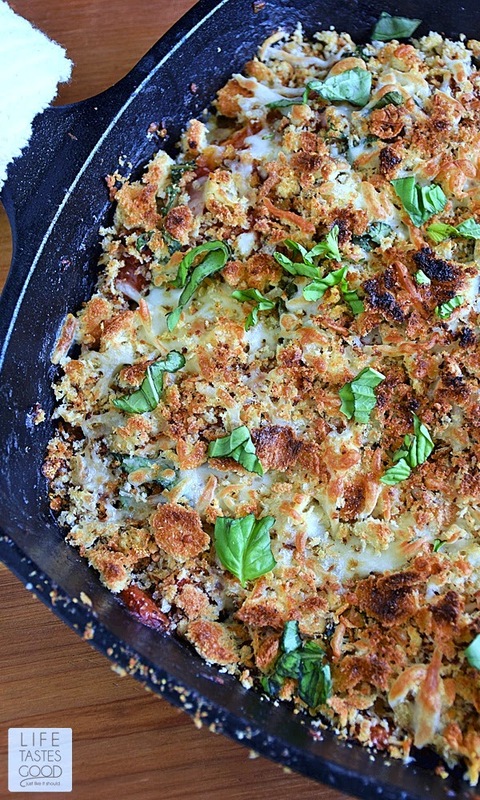 Top with 2 tablespoons of the Parmesan cheese (or more if you like), and 1 cup of breadcrumbs. Sprinkle a 1/2 cup Mozzarella cheese all over the top and put the skillet under the broiler for about one minute until the cheese is melted and slightly browned. Be sure to watch it so it doesn't burn! 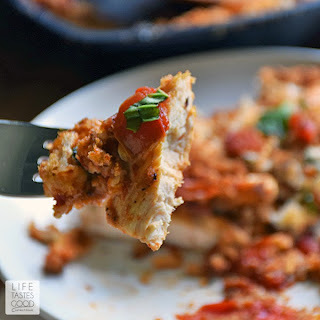 My husband loves Chicken Parm and I have my guilt-less version, which is delicious, but I love the idea of cooking it all in one skillet! Thanks! It's definitely a fave in our house :) Thanks for stopping by!